I bought this as I had read the reviews with people saying it gives you glowing skin etc. It doesn’t do any of that. This is just another product added to the market and creating hype. If you want to waste your money then go ahead but it does not work. I asked my friend to try it as I thought maybe it’s just different skin tones but it didn’t make a difference at all. My friend didn’t notice any difference neither did work colleagues. 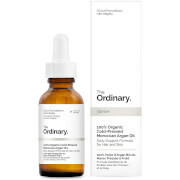 This oil is lovely - it smells amazing and sinks into the skin quickly. I only use it at night as my skin can be quite oily so it'd be too much for during the day, and I always wake up with fab soft skin in the morning. I think the scent also helps me sleep! Brilliant. Nicely scented. 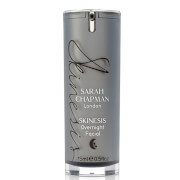 Great for at night not under makeup. Too oily. I adore this natural serum. I am sad that it is hard to obtain (in Canada). Often it's sold out too! But it is worth yhe wait - a lovely treat for my skin. And it would be at any age. I hope it is in stock very soon. This is by far the best product I have ever used on my face. It works it's magic overnight, leaving my skin looking rested and refreshed. It has worked wonders for my complexion, deep lines and wrinkles. It's also an excellent primer when used under foundation, giving a healthy looking glow. I'm really liking the product, the lower rating is due to the condition in which I received it. The oil had leaked all over the package and I probably lost about 1/4 of the bottle quantity. This oil is simply fantastic , this is the only product I have ever used that actually gives your skin a glow that lasts.My skin feels so soft in the morning after using it at night but it comes into its own when used under makup , you only need a small drop under makeup to keep your skin moisturized all day with a under glow that is divine. Would not be without this EVER. Such a nice smelling product, glides on really easily! Says you need 2-3 pumps but one is enough for me. I wear it 3 times a week when I sleep and my skin is so super soft! In love with this product!!! !